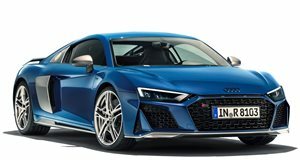 Audi USA gives customers many different options to customize their R8's. 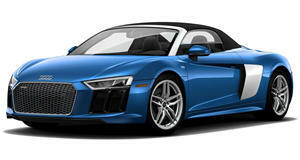 Audi USA recently announced through their Facebook page a program in which customers are able to customize their R8. As part of the program, customers will be able to choose from a wide selection of color options for the distinctive side-blade and exterior paint. Audi Exclusive is also offering a set of special interior trims that allows customers to upgrade their cabin with brown leather and red stitching. Or even red leather with white stitching - the options are endless. The full line of interior color options includes Cognac Brown Fine Nappa Leather with Crimson Red stitching, Black Fine Nappa Leather with Cognac Brown Fine Nappa Leather Seat inserts, Classic Red Fine Nappa Leather seats with Alabaster White stitching, Saddle Brown Fine Nappa Leather with Magnolia White stitching, Magnolia White carpet, lower door panels, floor mat piping and Saddle Brown piping. With plenty of interior color combinations to choose from, one word future R8 customers cannot use is "standard." Audi has also released several pictures of a few trims they&apos;ve picked out, all of which look really solid.